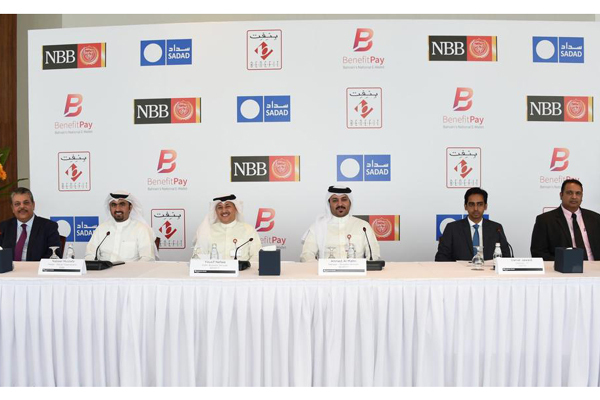 Benefit, an ancillary service provider to Bahrain’s financial services industry, and Sadad, a leading electronic payment channel, have announced the launch of BenefitPay service on Sadad self-service kiosks. BenefitPay is a national electronic wallet payment system developed by Benefit. Under the deal, announced at a press conference today, BenefitPay users can pay via their mobile their monthly utility bills, school and university tuition fees, teleco bills and top-up vouchers, renew motor insurance, buy cinema tickets, buy online shopping gift cards and gaming vouchers and pay for many more services. The user experience is extremely simple and flawless. Sadad self-service kiosk will generate a QR code on its screen for the customer to scan using their BenefitPay application and within 3 seconds the payment is successfully completed, across over 800 kiosks in the kingdom, said a statement. In addition to the convenience of not carrying cards and speedy transactions, this service ensures the utmost levels of security and cancels the need for card information sharing. BenefitPay requires a one-time registration to save user’s bank account and debit card details and it’s ready for use. Shaikh Ali Bin Abdulla Bin Hamad Bin Isa Al Khalifa, chairman of Sadad, said: “This service will enable another step towards our vision to provide a cashless payment society in Bahrain. “We are a technology first company, and technology to enable secure, simple and frictionless payments has always been the agenda of SADAD since the formation of the company,” he said.